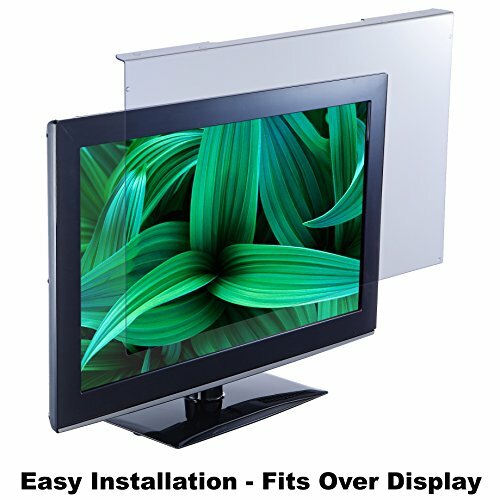 Blue Light Blocking Screen Protectors for daily viewing of LED monitors. There are several layers of coatings that are applied to the acrylic Blue Light Screen Protector panel. These coatings are Blue Light Reduction, Anti-Flicker, Scratch Resistance and a Hard Coating. Our Blue Light Screen Protector for viewing PC and LED screens will offer you the best protection available for your eyes and you will notice distortion free viewing. What Blue Light Is: Wave lengths of Blue Light are between 380nm and 495 nm in the range of visible lights. Blue Light has strong energy with very short waves, very close to the wave length of UV light. Bluelight is widely used in LED light sourced products such as PCs, Cell Phones, Tablets, Game machines and TVs. The vitreous body and the crystalline lenses in the eye absorb UV lights but HEV Blue Light reaches the retina with strong energy. The impact of HEV Blue Light is believed to cause eye fatigue and may even cause age-related macular degeneration, according to some experts. A prolonged exposure of the eye to Blue Light is now believed to be a health hazard called Blue Light Hazard. Does not block any of the colors, including the color Blue. How Much Blue Light Is Reduced: Blue Light Screen Protectors remove 100% UV Light and dangerous HEV Blue Light up to 100%, while allowing for the maximum transparency of all the colors. An average of 45% Blue Light reduction between 380nm~495nm offers overall protection. This means you get high definition quality viewing without the dangerous HEV Blue Light in the visible light spectrum. Bad Light Reduced - Good Light Enhanced. While reducing the Hazardous HEV Blue Light, other light is enhanced and all colors will appear clearer now that the Blue Light scatter has been removed. Terms: Anti-bluelight, anti-blue light, blue light, blue-violet light, CVS, Computer Vision Syndrome, Sleep Better, Circadian Rhythm. If you have any questions about this product by EYES PC, contact us by completing and submitting the form below. If you are looking for a specif part number, please include it with your message.